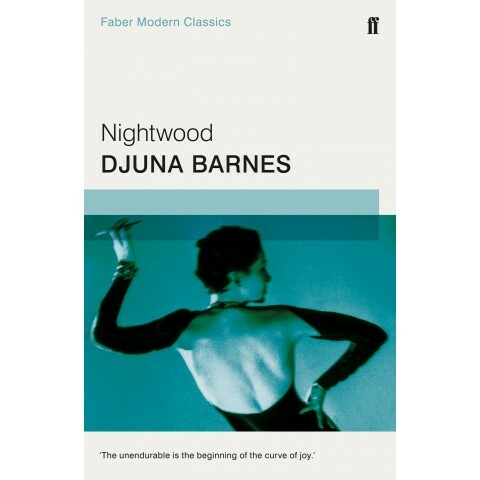 Nightwood is another title in the Faber Modern Classics series, and it seemed somehow appropriate to be reading it in view of he recent Yes! vote in Ireland because it’s a pioneering novel of gay love. It is, in any case, not much more than a couple of hundred pages long, and more people have heard about it than have read it. Reading it is mainly the preserve of academics and students. Others have a vague sense that it is a modernist text, that T. S. Eliot adored it, that Dylan Thomas called it ‘one of the three major prose works by a woman’ (accept the compliment to D.B., ignore the insult directed elsewhere), that the work is an important milestone on any map of gay literature – even though, like all the best books, its power makes a nonsense of any categorisation, especially of gender or sexuality. The plot is, as Winterson says, minimal. The central character is a bohemian called Robin Vote, hard to like, and even harder to get to know. Unkindly, she marries the pseudo-baron Felix Volkbein, and even more unkindly, she has a child called Guido. There are two women who (unwisely) love this destructive Robin, Nora Flood and Jenny Petherbridge (who, reminiscent of the carelessness deplored by Oscar Wilde’s Lady Bracknell, has been widowed four times). And bringing it all together, though it takes a while to realise that’s what he’s doing, is Dr Matthew O’Connor, who launches into bizarre monologues that seem to have nothing to do with anything. (He’s not really a doctor, but he does have healing qualities). She tried to think of the consequence to which her son was to be born and dedicated. She thought of the Emperor Francis Joseph. There was something commensurate in the heavy body with the weight in her mind, where reason was inexact with lack of necessity. She wandered to thoughts of women, women that she had come to connect with women. Strangely enough these were women in history, Louise de la Vallière, Catherine of Russia, Madame de Maintenon, Catherine de Medici, and two women out of literature, Anna Karenina and Catherine Heathcliff; and now there was this woman Austria. She prayed, and her prayer was monstrous, because in it there was no margin left for damnation or forgiveness, for praise or for blame – those who cannot conceive a bargain cannot be saved or damned. She could not offer herself up; she only told of herself, in a preoccupation that was its own predicament. Leaning her childish face and full chin on the shelf of the prie-Dieu, her eyes fixed, she laughed, out of some hidden capacity, some lost subterranean humour; as it ceased, she leaned still further forward in a swoon, waking and yet heavy, like one in sleep. Review copy courtesy of Allen & Unwin. I’m so pleased this has been re-released, I’ve been looking for a copy for the last few years and now I may actually be able to find one. Looking forward to reading it! what a pity, I could have let you have this copy but I had to leave it behind in Singapore! Yes! I read it at the height of my T.S. Eliot infatuation at uni, and I have to admit I really couldn’t understand why T.S. was so mad about it. But I dutifully told everyone how wonderful it was. Now older and wiser, and not nearly so keen on Tom, I must have another look.